I purchased my hearing aids somewhere else but was not pleased with the service after the sale. I have since been going to Johnson’s and couldn’t be happier with the care I receive. I will definitely come back next time I need new hearing aids. The majority of hearing problems are a result of aging or prolonged exposure to loud noises. However, heredity, illness, medications and head injuries may also be to blame for impaired hearing. Hearing loss is something that affects more than 40 million Americans and can have serious impact on the personal and professional lives for those who have not sought proper assistance. People often ignore their hearing problem because they feel embarrassed or don’t want to admit they have a “weakness”. Studies have linked hearing loss serious conditions such as depression and dementia as well as social withdrawal, increased risk to personal safety, and reduced job performance and earning power. In some instances, peoples’ hearing loss symptoms have even been mistakenly attributed to Alzheimer's disease. Hearing aids improve the quality of life for the majority of wearers, and can treat hearing loss successfully more than 90% of the time. Thanks to improvements in technology, most of today's hearing aids do an excellent job of alleviating hearing loss symptoms, and are hardly noticeable in the wearer’s ear. Hearing loss is different for each individual. Part of what makes each hearing loss unique is its place of origin within the ear—either the inner, middle, or outer region of the ear. The inner ear is the most common place for a hearing loss to originate. In such cases, the tiny sensory cells that respond to sound either die off as a result of aging, or deteriorate due to excessive vibrating in the presence of loud noise. An inner ear hearing loss, referred to as a sensorineural hearing loss, is not reversible in a medical sense—the sensory cells cannot regenerate or be replaced. However properly-adjusted hearing instruments have proven to ease associated problems. Damage to areas of the middle ear, such as a perforation of the eardrum, infections or otosclerosis (a calcification that limits movement of the ossicular chain) are the most common causes of hearing loss in the middle ear. This type of hearing loss, known as a conductive hearing loss, is often treatable with medication or surgery. 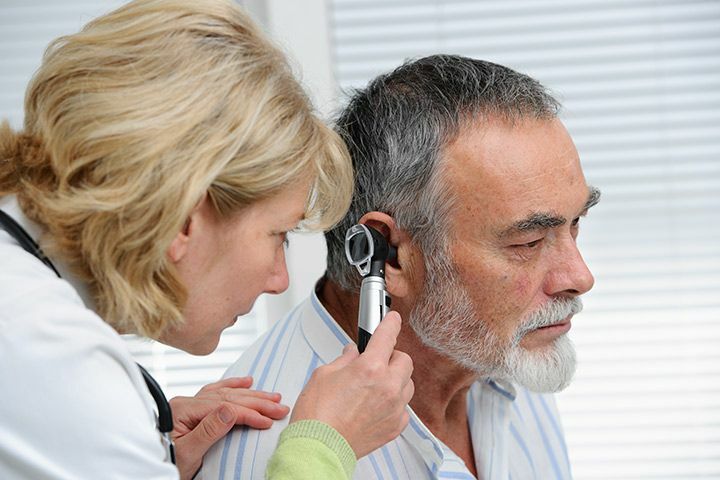 Hearing instruments will usually resolve the remaining hearing loss if it is not treatable. Hearing loss that occurs in the outer ear is also considered a Conductive hearing loss and can be caused by an earwax buildup or an infection within the auditory canal. This type of loss is usually treatable with medication or surgery as well. Another common problem is Tinnitus, which is a ringing-like sensation in the head. While this problem may occur in conjunction with a hearing loss, the cause varies and is not always evident. It's true that when people address their hearing loss sooner instead of later, they will retain more hearing and understanding ability. When a person's ears stop picking up certain sounds as a result of deteriorated hair cells in the inner ear, the neural pathways which connect the inner ear and the brain lose their capability to process those sounds. However, when people wear hearing aids, these nerves are still stimulated and the ability to understand speech is retained longer.